Mr T has been on holidays all week. He has a busy job and works stupid, stupid hours, so the break has been good for him. Unfortunately, when he first booked this leave, I wasn’t working. As a result, he’s had most of this week at home doing not a lot. It would have driven me mad, but I think it’s done him good. 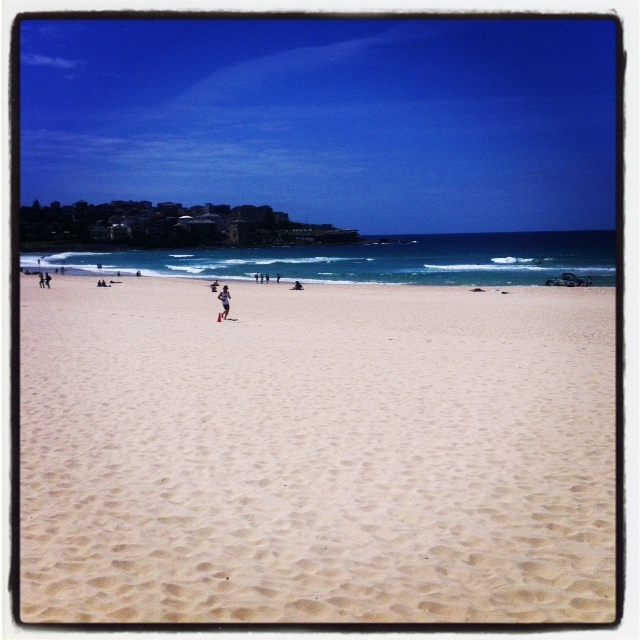 So today, we took a run over to Bondi- he’s never been over there. Up until this year I hadn’t been either- despite living in Sydney for 20 years. Why? Because in Sydney getting anywhere from my end of town is seriously difficult. And the parking is atrocious. In any case, here is my Friday Five. 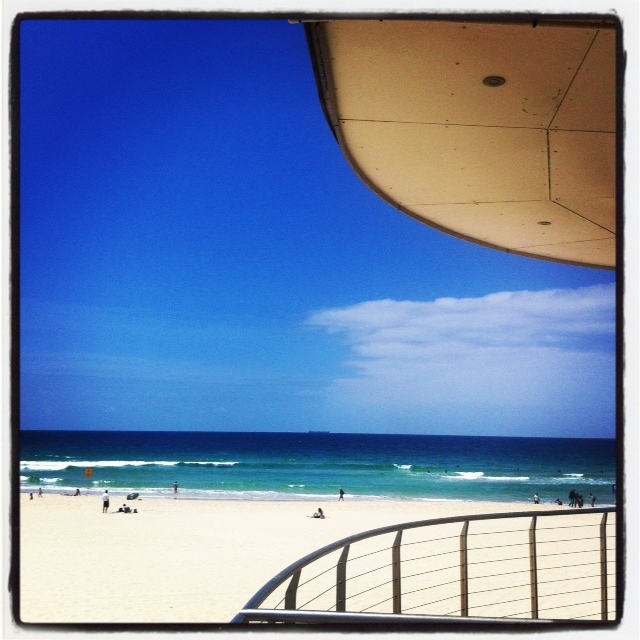 I had lunch here for the first time a few weeks ago and raved about it so much that today I took hubby as well. This time we had duck and banana flower rice paper rolls- beautifully fragrant. We each also ordered the wagyu and oxtail pho. Pho is one of those meals that you instantly feel better for eating, and we’d both been craving one. 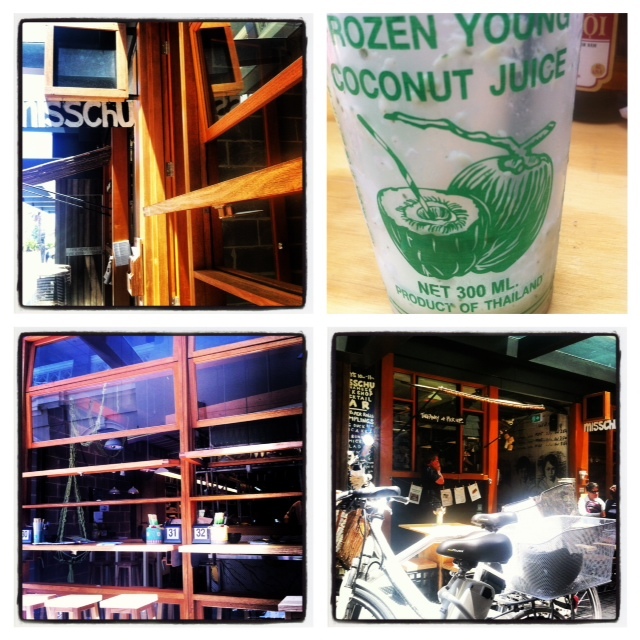 They also do this incredible crushie made from frozen young coconut juice, lychees, cucumber and mint. Whilst not as naturally hip and grungy as that in Melbourne, it is street art and is, therefore, in my view, worth a few photos. 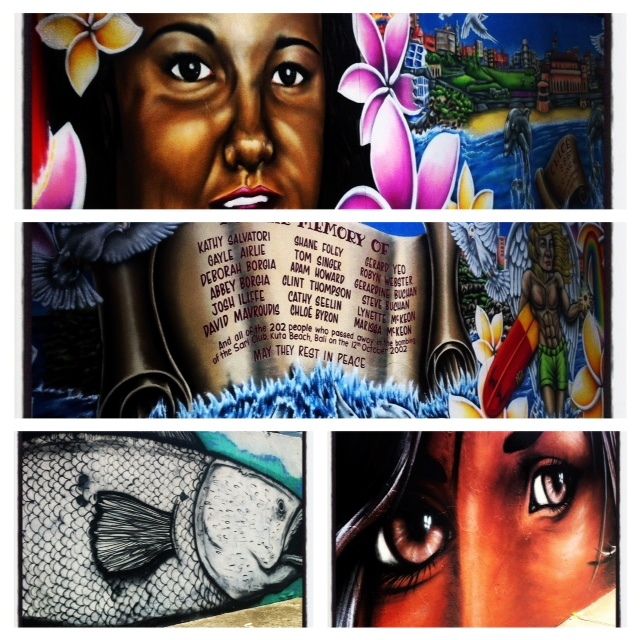 I particularly love the tribute art to the local victims of the 2002 Bali Bombing. I have a dear friend and her partner over for dinner tomorrow night. We have an Indonesian/ Malaysian menu planned. Why the slash? I’m doing a beef rending which apparently originated in Sumatra, but is also claimed by Malaysia. Now, I don’t intend getting into a food history argument here, so the slash remains. I think it’s a bit like the pavlova and Australia and New Zealand ownership rights. To be honest, I don’t care. There are so many similarities between the foods, the techniques and the spices, that many dishes fit into both cuisines. 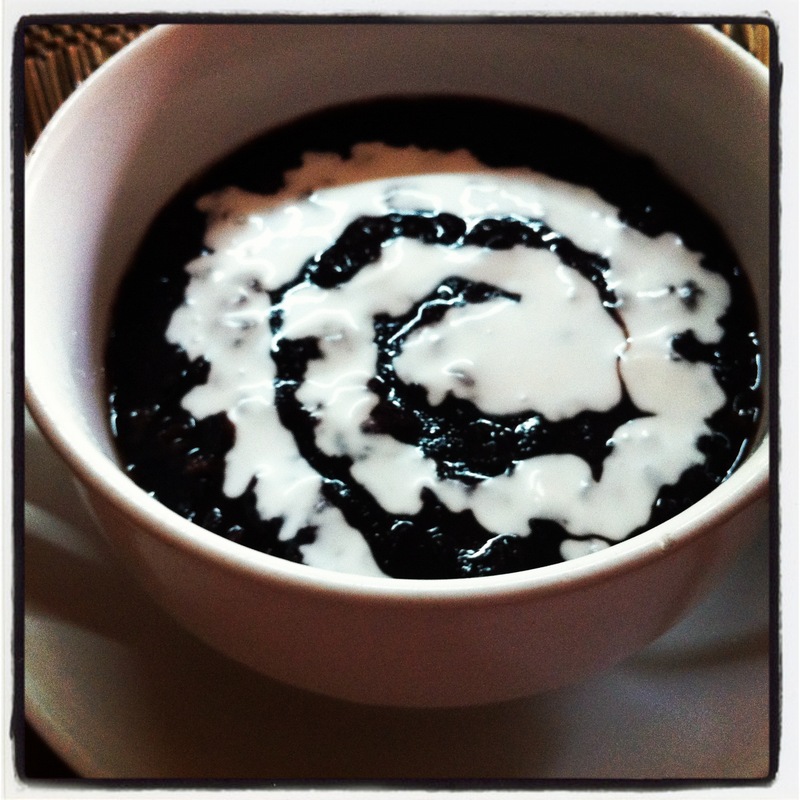 I’m also having a go at a black rice coconut pudding. I’m hoping it will turn out like this one I had in Bali– see the photo above. 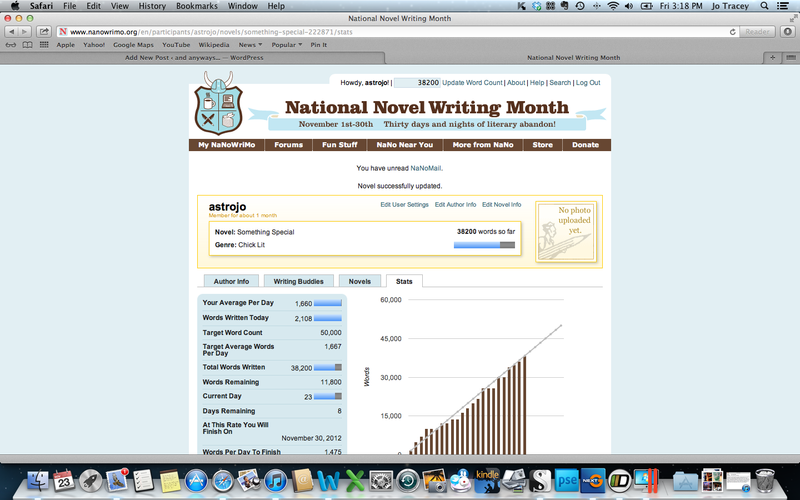 My nanowrimo effort so far this November. I’m just over 38,000 words and right on target. I’ve been writing backwards, but am now coming forwards- if that makes sense- with a view of meeting somewhere in the middle. Im due to fly to Sydney from the Uk in 11 days! 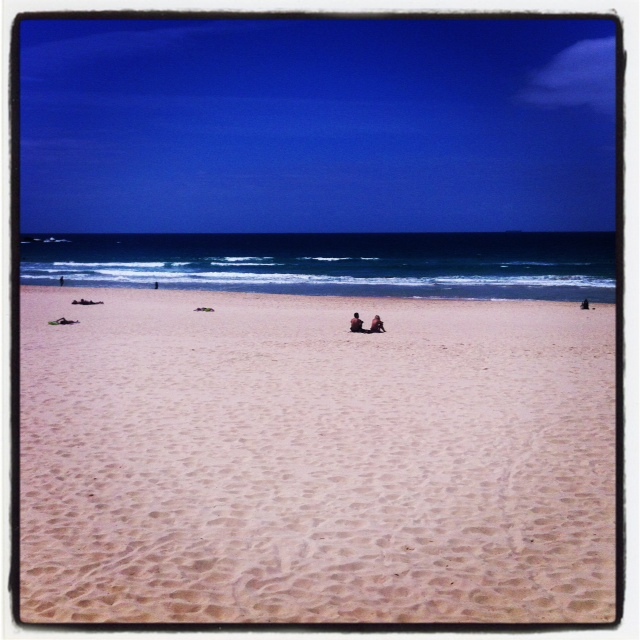 I am so excited, Bondi looks absolutely beautiful and a darn sight better than the weather we’ve got here right now! 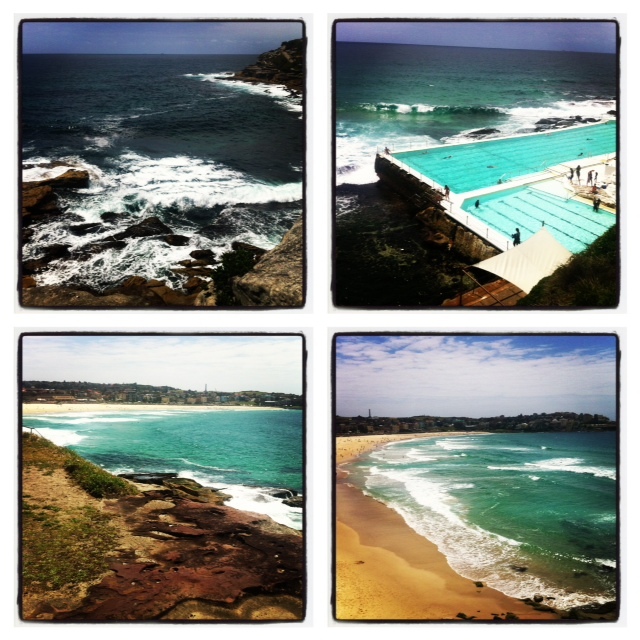 make sure you do the Bondi to Coogee walk- the views are amazing. I’ve only ever had pho in Vietnam. Am too unadventurous when it comes to dining options (the coeliac thing is a hassle! 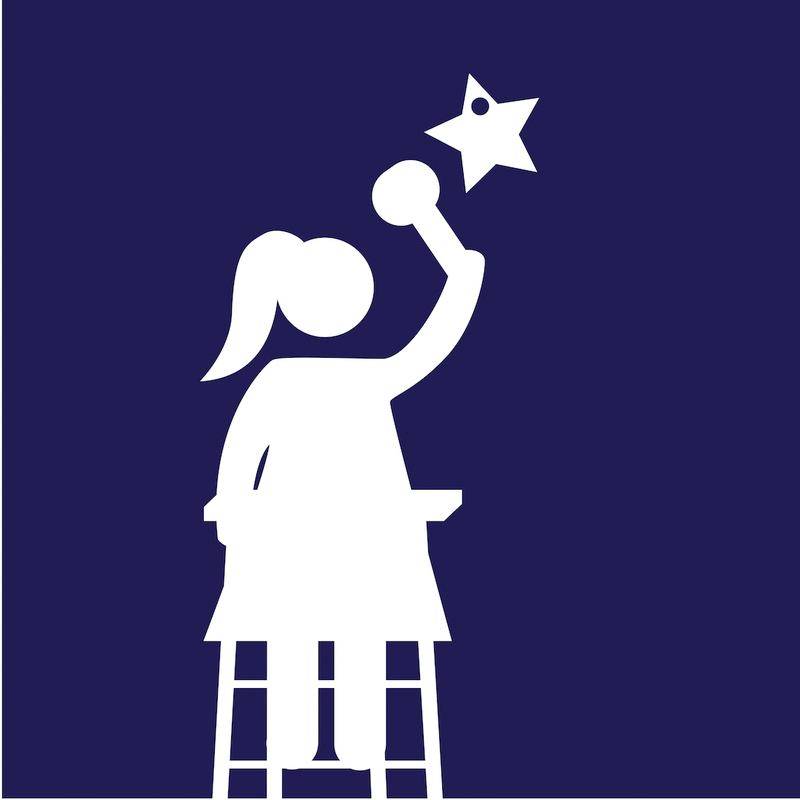 )… but more so with cooking! Did you see the Rick Stein Far Eastern Odyssey series he did? I found that interesting – a HUGE cross-over in cuisine across many SE Asian countries!!! I loved that series. Give the pho thing a go at home- you can cheat with store bought stock (gluten free, of course). It’s the ultimate comfort food.